We are proud to announce that our first “Community Day” was held yesterday, Thursday, March 18th in Paris. 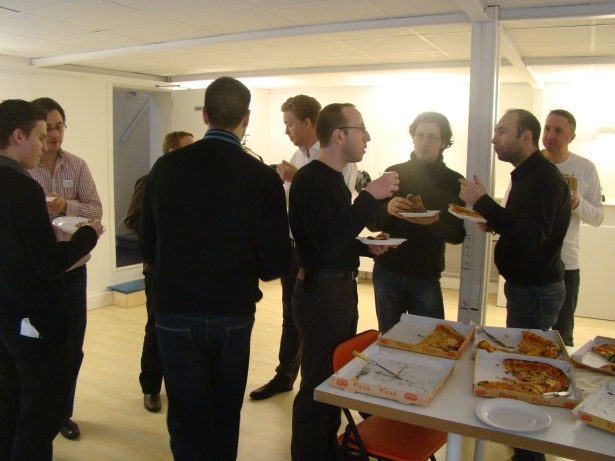 The day started so friendly with a breakfast between the participants and the PrestaShop Team. During the morning, the debate has focused on the PrestaShop Company and the development of a web service that would facilitate interaction with external actors to PrestaShop. At noon, our pizzaiolo neighbor has made us so happy with 15 great pizzas to share together! Exchange of point of view and business cards, and again a lot of good ideas fusing Before resuming work, tasting homemade cakes to give us strength! During the afternoon, two working groups were formed: one group with merchants and a second one with more technical profiles. 20 main ideas proposed by these two groups were selected and will be gradually integrated into PrestaShop, keep attentive! Thanks: Pierre-Yves, Christian, Nicolas, Paulo, Jean-Bruno, Julien, Tomasz, Thomas, David, Benoit, Colin, Christophe and Antonin for this day spent with us! We will renew the operation soon, so stay tuned and let us know if you want to participate (15 participants max per meeting). PrestaShop at the Forum PHP 2010! E-commerce Paris 2010: A great success for PrestaShop!